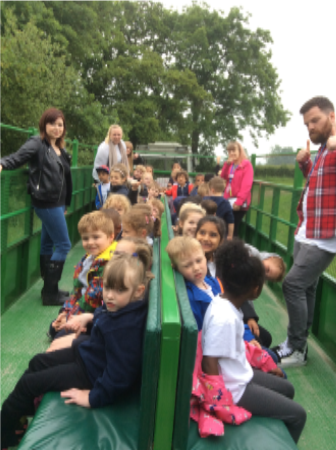 On Friday 25th June we took Reception to Ladyland farm for the day and had a fantastic day learning all about the animals that lived there. We were shown round by Farmer Jacque who started with the baby chicks that we got to hold, and explained how they grow. 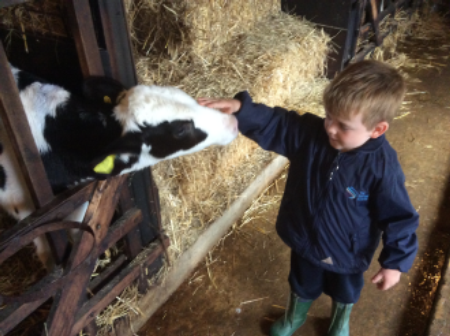 After that we had a tour of all the animals, from the sheep, to cows and pigs and hens. We held goats and stroked rabbits, visited the owls and learnt about how to care from them, and what they provide for us such as meat, eggs, milk, cheese and yogurt. We had a picnic lunch after and were able to run around and climb on the hay bales after! Please don’t forget that school closes at 6pm. At the end of wrap around it is important that children are collected promptly, as the school is closed from this time and it is unsafe for children to be on site after this time. This week I was shocked and impressed by one of our year three children! She came in with a Distinction certificate for Indian dancing and explained that she had to perform and submit a portfolio to gain her Grade one! On Thursday 14th June is another primary ice pop sale for 50p each, and the Pizza and Pub quiz night. Do sign up with a team of 6 people for £30 including your dinner! Next term is the AGM for FOGS too so if you want to get involved in supporting our school, please come to the meeting on Monday 9th July at 7pm. One of my favourite things that we did were leap of faith which was where we climbed a tall and long platform using a harness. The aim was to reach the top. It was tricky because the wind was swaying the pole and me! The 2nd thing that I loved was the 3G swing, it was a big swing where once again we had to have our harness on. My friends were pulling the rope that made us (myself and Hannah) go higher until we reached the ‘red flag’ Once there we had to pull the black rope which pulled us giving us the sensation of being on a swing. After all the activities we had lunch, but the food wasn’t fancy although delicious!! !